Brad Campbell played at Woodstock as part of Janis Joplin’s Kosmic Blues Band. Of course, like all musicians, he’d had things happen before and many things following. Though little known in the US, the first big band Brad Campbell would play with was the Canadian band, The Last Words. The original group was comprised of Graeme Box (lead guitar), Ron Guenther (drums) and Noel Campbell (piano). According to a Barbed Wire Design article, The Last Words began in Clarkson, Ontario in 1961 as the The Beachcombers. Began and ended after two gigs. Then, liking Ronnie Hawkins, they became the Nighthawks. In 1964 Noel Campbell left the band, but before leaving invited brother Brad to join. Brad played bass. Now they were The Smamokins band, but that soon changed to The Last Words. Their first single in 1965, The Laugh’s On Me / She’ll Know How, for RCA Canada received very little air play, but in 1966 they hit the Canadian charts with a Columbia release, I Symbolize You / It Made Me Cry. In late 1966, they released their last charted single, Give Me Time / Drive A Mini Minor, again on Columbia. Bill Dureen left the group in 1967 and the remaining members continued with three others until 1968. Next was joining “The Paupers” with Skip Prokop (Lighthouse). In 1968 he went to New York. He auditioned for Janis Joplin and she instructed her agent Albert Grossman to hire Brad. He the Kosmic Blues band in late 1968. He’d eventually join Janis Joplin’s Full Tilt Boogie Band. 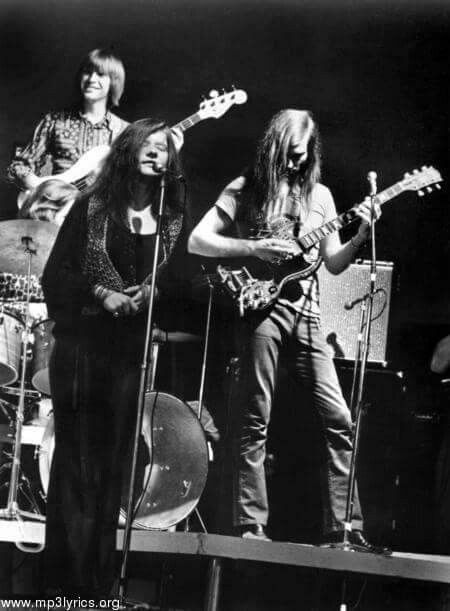 A Know Your Bass Player article wrote: To my ears, the Kozmic Blues Band and Full Tilt Boogie Band, with bassist Brad Campbell, were the perfect match to advance Janis’ groundbreaking artistry after she departed Big Brother & The Holding Company. Throughout I Got Dem Ol’ Kozmic Blues Again Mama (1969), Pearl (1971), and tracks on the archival In Concert (1972) [Campbell} fortified Ms. Joplin’s forays into soul and rhythm and blues on such classic tracks as “Try,” “Move Over,” “Half Moon,” and “Me and Bobbie McGee” with harmonic and rhythmic passages evocative of the Motown, Stax, and Atlantic Records session masters – who, at the time, were his peers. Brad returned to Canada after Janis’s death. He’d married and begin a family. Over the past two decades he has played with several bands, onee of which was Doyle Lawson & Quicksilver. 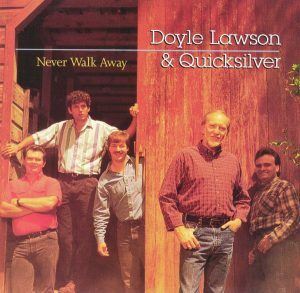 Campbell played banjo and did vocals for Lawson from 1993 to 1994 and played on their album Never Walk Away. His All Music credit list. Brad lives in Milton, Ontario. How do you get your ticket punched for Woodstock? Many ways. For Bobby Torres it was to begin by growing up in New York City, the child of parents from Puerto Rico, and to love playing the congas. OK, but what about becoming part of Joe Cocker’s Grease Band? The Grease Band disbanded soon after Joe Cocker left them and Bobby Torres moved to Los Angeles for the 70s where he became a key session player and then in the 80s he moved to Portland, Oregon but was often on the road as part of singer Tom Jones’s band. 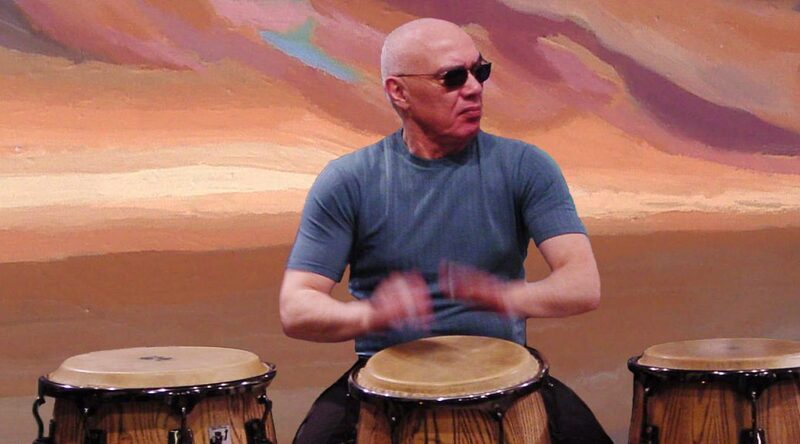 By the 90s, Bobby Torres was back full time in Portland and became in integral part of that city’s musical scene, both jazz and Latin, with his Bobby Torres Ensemble. 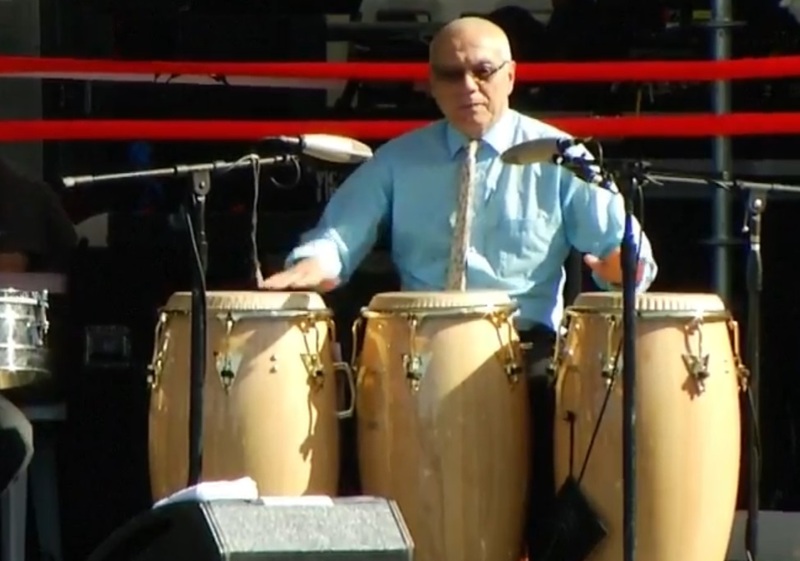 Bobby Torres wants everyone to know that his musical hero is musician, songwriter and record producer, the The King of Latin Music Tito Puente. Puente was based in New York City and Torres went to hear him play whenever given the chance. Bobby performed with the Tadeschi Trucks band to a crowd of over 25,000 people at the Lockin’ Festival in Virginia. This concert was a tribute to Joe Cocker and featured many of the original members of Mad Dogs & Englishmen. Bobby was given the Jazz Journalist’s Association Jazz Hero Award. This award is given to advocates, altruists, activists, aiders and abettors of jazz who have had significant impact in their local communities. He’s still busy…just as he’s been for decades. 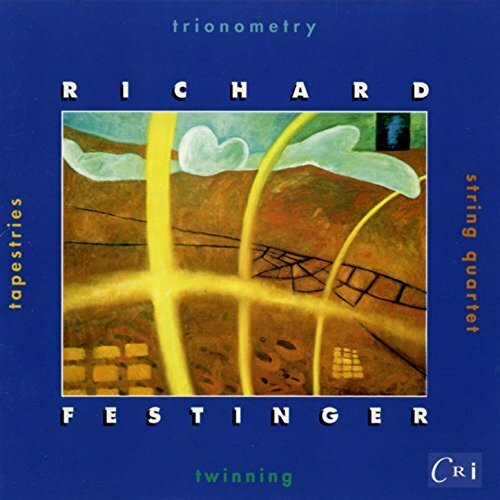 If you look around his web page, you’d never know that Richard Festinger played guitar with Joan Baez at the Woodstock Music and Art Fair. 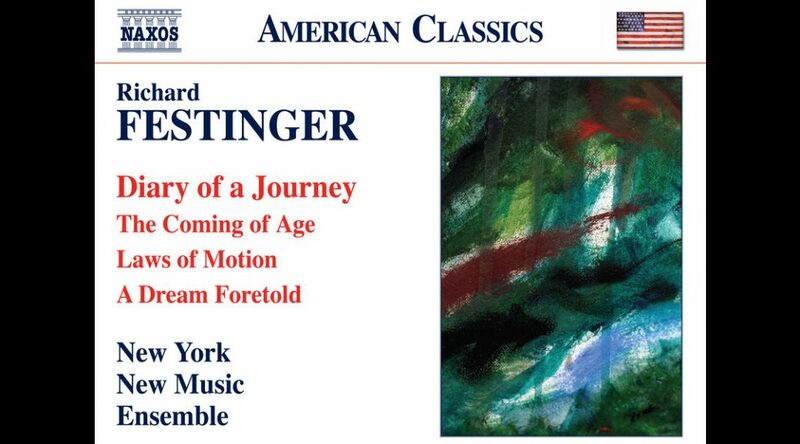 You would find out that on April 8, 2017 the Boston Musica Viva performed his A Serenade for Six at 8:00 pm, Edward Pickman Hall, Longy School of Music in Cambridge, MA. The list continues on for several more lines. How does one go from Woodstock to there? Not all historic events are personally historic and perhaps Woodstock wasn’t so much a turning point, as simply a stop along the way. He was there between 1970 and 1972. 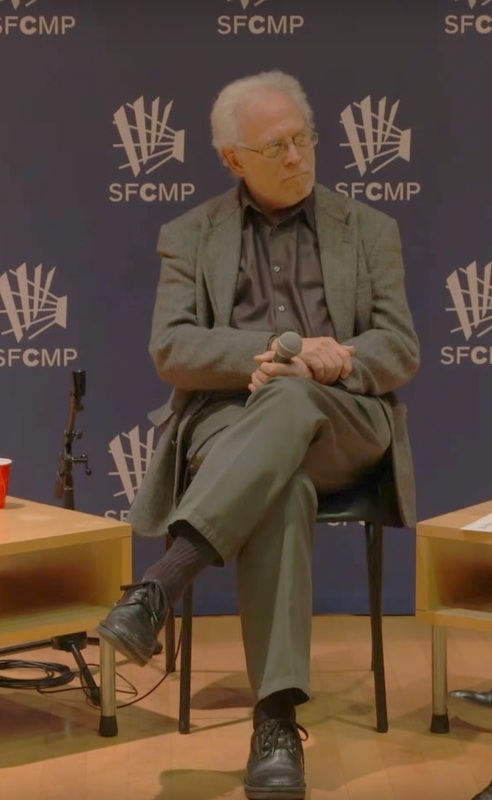 He returned to California in 1972 where he had previously studied at Stanford University between 1965 and 1968 and in 1976 received a BM from San Francisco University. 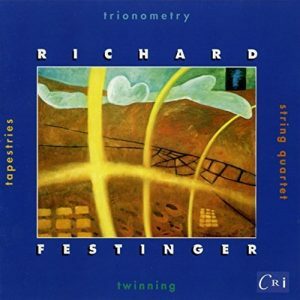 He continued his studies and received an MA in Music Composition from the University of California, Berkeley in June 1978 and five years later his Ph.D in Music Composition also from Berkeley. His complete CV is at his site. 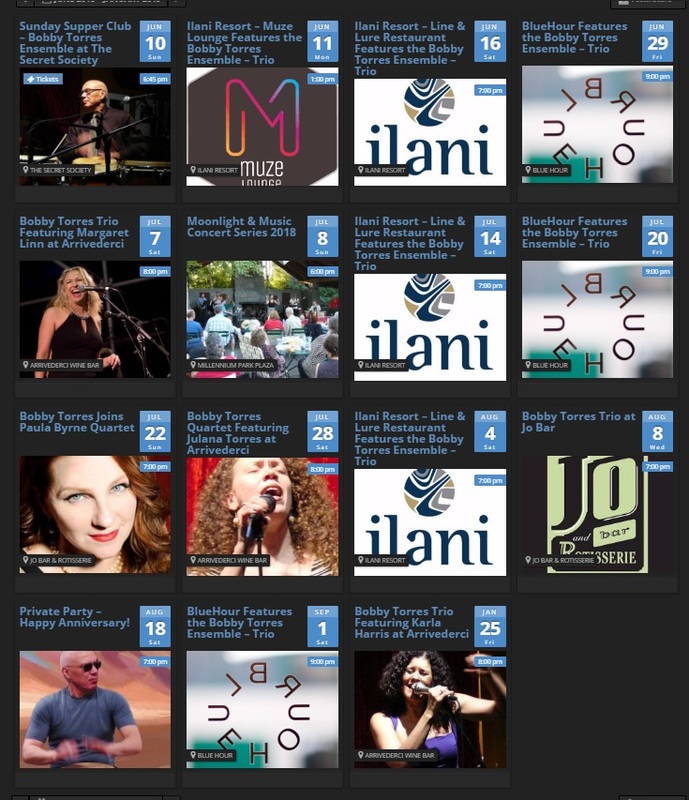 It is an amazing listing of outstanding accomplishments: administrative positions, positions held, a list of works (dozens), published music, recordings, grants, awards, honors, and residencies. He was recently the Composer in Residence, Bogliasco Foundation, Liguria Study Center for Arts and Letters, Bogliasco, Italy, October-November 2016. His music continues to be played.